I was at a concert in Detroit and Cameron McGill was on the bill. I was fortunate to meet the talanted singer-songwriter, but my jaw dropped when our conversation shifted to poetry. 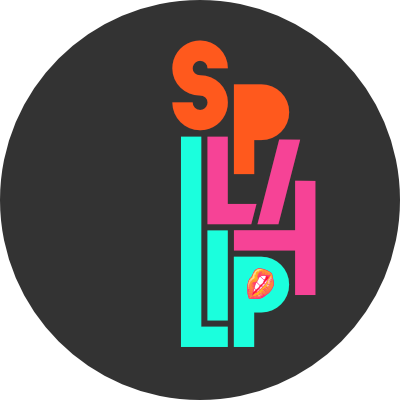 He asked if I had checked out the latest Sharon Olds book, and I was all, “Somebody else in the rock circuit knows Sharon Olds?” So we talked shop, both music & poetry, and I couldn’t help but to invite him to spend some time with Split Lip for a chat about the arts. The timing is good too since McGill has a ton of new material in store ranging from his new record, Gallows Etiquette, which was released just a couple months back, a new music video called “Sucker Love,” and new poems that can be read HERE. Read the interview below to learn more about the artist, check out his video, and visit his website to check out his latest record. 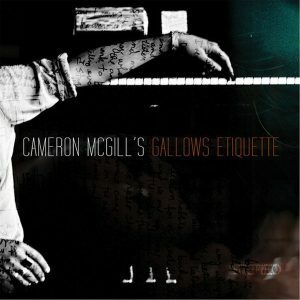 After listening to any song from your latest record, Gallows Etiquette, it is clear that the tune is a product created by a master of both music and poetry. By this I mean there is a duality of languages spoken in any given song: the language of music and the language of poetry. How would you differentiate music and poetry as independent languages? Why do these languages so often intersect in your songs? Music speaks to me when there is a confluence of conversation, lyric and melody. Those are the elements that come together to create a thing that is elevated—a song. And though some people prefer to listen to the elements independently of each other, it is the combination of those ingredients, the listening of a piece as a whole, that gives the listener an overall feeling. When writing a song, you hope that as you add those elements together, it will make the whole song more compelling, but of course certain elements can also detract from a song if it becomes too laden, or if they begin to obscure the beauty of a certain melody. So, music as a language, in the end, kind of paints a picture that you have to listen to, and it’s up to you to decide if you want to listen to the parts independently or listen to the parts as a combination, the song as a whole. When looking at a poem on a page—the only music is the words; the only music is how you read it and how much you can bring your own imagination to the poem, how much you can let yourself create a picture based on the content the writer wrote for you. In a song, there is a melody laid out for you, there is a rhythm, there is a verse, a chorus and sections. In a poem, you really have to bring more of yourself to it for it to come alive. I mean, I guess it depends on how good the poem is too, but sometimes it washes over you and it’s undeniable, right? That’s how I see music and poetry as different languages. I read it differently and I listen to it differently. I feel they are mediums that can influence each other. At the end of hearing a poem and at the end of hearing a song, what is that overall feeling that you get? You can enjoy the lines or you can enjoy the melodies and take them in a separate hooks, but when you’re done reading or listening, what are you left with? The residuals of both—the listening experience or the reading experience—can be quite different, you know? It really does depend on how a piece of music or a passage of text is taken in, whether as individual parts or as a collective, but how do you feel about them working together? I think when mixing them together, at times—though I still feel they are very different and separate mediums—there is a bit of a gray area depending on how you want to try to approach the words. I wouldn’t consider any of the lyrics on Gallows Etiquette as “poems” even though some lyrics were written first and then set to music while others were written simultaneously with the music. In terms of how the lyrics would read on a page, I’m not so sure they would work as poems. It wasn’t my intention for them to. Would you say, then, that poetry acted as an influence on Gallows Etiquette? I struggled for a long time with the different styles of writing I partake in: Should this be the beginning of a song? Should this be the beginning of a poem? And I think, to some degree, there used to be times I would try to force my songwriting or poetry with its counterpart medium, but I feel that I’ve gotten to a place—after having written more poetry—where things are clear when it comes to whether I set my words to music or not. That being said, with Gallows Etiquette, I tried to stretch myself with the lyrics, contrasting them against what I had allowed myself to think of as song lyrics before. Some of the record was written in longer form like “That Los Angeles Mouth,” which to me isn’t a traditional song lyric. This goes without saying, but would you consider yourself both a musician and poet, meaning, at times, you work with each medium independently? I do work on both mediums independently and increasingly with more equal amounts of time, and to me poetry is something I’m. . . It just never ceases to amaze me: All the wonderful writers that are out there right now. They have opened up a world to me with regard to writing in general. I feel like poetry is a goldmine I had found personally just to be able to enter this world of writers whether it be Sharon Olds or Philip Levine or Li-Yong Lee or whatnot. To me it’s like a trope for finding a great record but it’s a whole other universe that I am just trying to further and further understand and appreciate and let it influence me overall. On Gallows Etiquette, you said: “Lyrically, the album focuses on coming to an understanding of my place in America, something with which I find myself increasingly struggling to define.” Would you care to elaborate on that? Do you feel this record answered any of your questions? I think that depending on how much you want to listen and read into the record, a bit of that will be revealed. At the time I was writing the record, the  presidential elections were going on, and the political vitriol was at a feverish pitch. I think some of that worked its way into how I was feeling toward my individual health as an artist in America, the health of discourse, how I felt as a person, as a citizen—all of those things worked their way into how I was approaching these songs. I think there’s a lot of frustration in some of the songs that is directed at the disconnection I felt from the backlash against what, to me, was a very encouraging, progressive movement, but then there’s also a lot of hope on some of the songs where I try to see the flipside of that. I tried to not forget the humor of things like American health insurance and whatnot, which forced me to think that maybe it’s more effective to maintain my wit than to get angry, that I could accomplish more with that mindset. 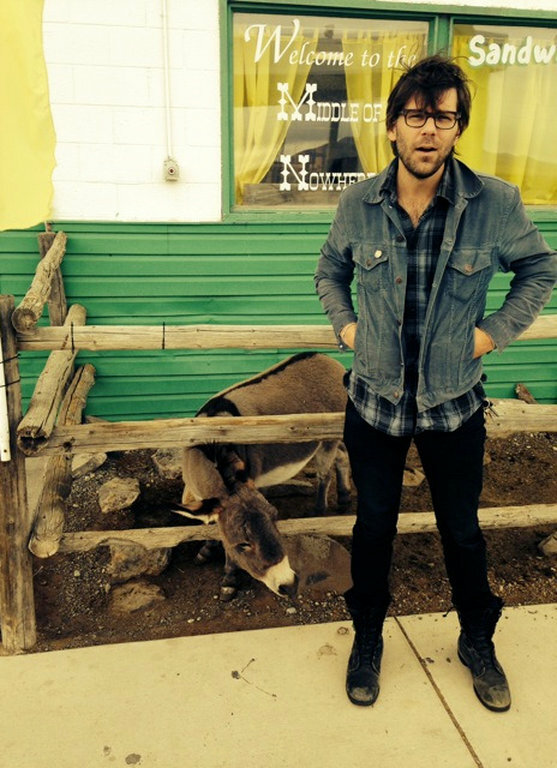 Did writing this record help explain my place in America? I don’t know if I’m convinced one way or the other. It’s certainly a picture of how I felt at the time though. When you write a poem, how do you know it is meant to stand alone rather than be placed to music? Are songwriting and poetry two different creative processes? I feel differently when I’m working on either. With songs, you’re always thinking of what the melody and structure are going to be—this sort of overall picture. For me, I’ll start going with whatever seems to come first whether it be part of the lyric or part of the melody or part of the instrumentation. I can take any one of those three and use it as a starting off point, and that’s encouraging since it gives you a few options. With a poem, you’re looking at the page and thinking of the words. You start with the words, and sometimes that can be more liberating, but at other times it’s. . . You don’t have those other avenues—or starting off points—from songwriting that can work their way into a poem, which certainly makes me approach writing poetry differently. But, yeah, it’s hard to serve two masters. Sometimes that’s the best way to put it. So who are some of your favorite poets and why? A friend of mine years and years ago had given me a Charles Simic collection, Walking the Black Cat, and that was the first set of poems that really opened the door to that world for me. It was Simic’s work that made me seek out other collections of poems and other poets, and I feel very grateful that she gave me that book. Jack Gilbert’s The Great Fires maybe blew my mind more than any collection of poetry that I had read. That collection moved me like a favorite record and is still one of my favorite collections of poetry. I recently picked up the latest book by Sharon Olds, Stag’s Leap, which is gorgeous. I’m always trying to find something new, and there’s certainly no shortage of stuff out there to find; it’s just a matter of how hard you want to look. Do you have an MS in progress or plans to write a book of poetry? I would love to at some point get my collection of poetry together. It’s something I’ve been working on, but it’s one of those thing I’m working through. You have to write a lot of poems to get to the right poems. You know—to get your first one even. I mean, you can’t go and release your first record again, and you can only release your first book of poems once. There’s no particular time for it, nor is the manuscript close to finished. I’m just trying to write as much as I can to learn what this first book might be in terms of a collection. It’s bound to happen, but it’s still going to take some work.